Our work or profession takes up a better part of our lives. It determines the quality of our life. Career is very important to anyone. Everyone is struggling hard to make bright career and that's why people are trying hard to get a good job. 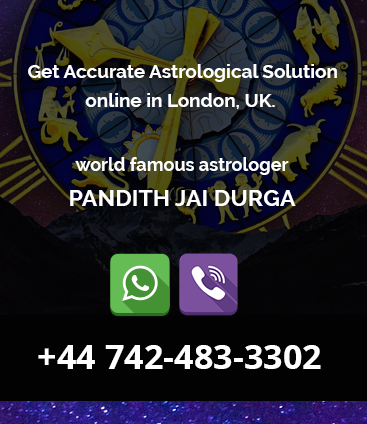 Pandith Jai Durga, the best Indian astrologer in London, UK brings Career Problem Solutions which is being offered in the form of astrology. Through our Expert Career Tips, you can make a wise decision on career choice. His service for career astrology has attained world recognition and people from all parts of the world ask for job predictions and seek a complete career chart reports. Facing trouble in your career? Not sure what to do with your career? The key to your destiny is hidden in your horoscope. Pandith Ji conveys Job Problem Solutions, Career Horoscope, or any problem related to marriage family you are facing. He will research on your horoscope very finely and make speculative astrological predictions on the basis. Sometimes the job seeking person is not qualified or not deserving enough to be employed at the job post that he wants. If you want to help yourselves then you can get proudly employed if you get the job and career problem solution provided by our specialist Pandith ji. Every movement of star gives out a vibration and every star has its own individual movement. All the vibrations of the stars in combination effect at different moments make effects on human beings and other material beings. What is exactly Career Prediction? Our Career prediction includes 3 important indicators to predict your career or professional life. The first is the planet Saturn the second is your birth date, time and location and the third is the 10th house, the house of lord. 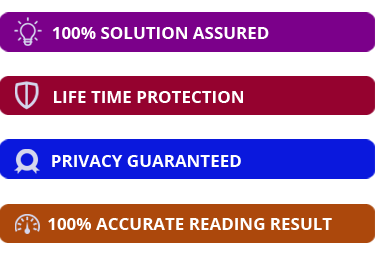 Based on these our excerpts will determine where and how will be your professional life. Career Horoscope by Date of Birth is an ancient science that helps us to find out the Career Predictions and Job predictions by which he can solve every problem we face in our career so if you are one of them who is facing these kinds of problems then you can go with our Career Prediction Expert Pandith ji. How to solve Job & Career Problems through astrology? The detailed analysis of the career through astrology can only be predicted by the date of birth and horoscope. If any particular dosha is creating problem then you should move to cool down that dosha like you can do pitra shanti yagya, kaalsarp shanti pooja, grahan dosha shanti pooja etc. The job and career problem solution given by our specialist Pandith ji in the dorm of spells, are the most efficient one and they give the best result within less amount of time. You will find a good job suitable for you or you can get into a business which will give you a lot of revenue in return. All you have to do is to come to us and get our help.